For 50 years, The Institute of Education has been preparing students for exam success. Our Junior Cycle & Junior Cert 2019 May grinds are a key part of this curriculum. Taught by our experienced and skilled teachers, these intensive, exam focused classes are for students about to sit Higher Level Maths, English or Science in the Junior Cycle and Junior Cert exams. Students are provided with high quality notes and key techniques to enable them to achieve their maximum potential in the exams. Students may opt do one, two or three days of the course. 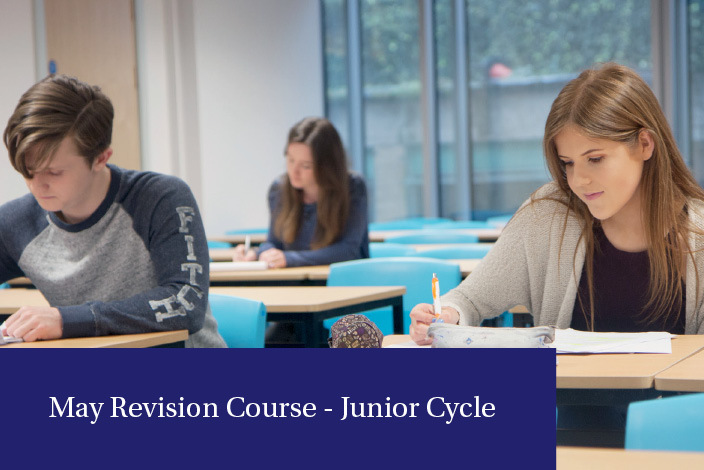 This course is designed to introduce students to the requirements of the new Junior Cycle English exam. Emphasis will be placed on developing key skills as outlined in the curriculum. Students will be given guidelines on how to plan and construct effective writing exercises. Special focus will be on Reading Comprehension, Creative Writing, Poetry, Drama and Fiction. Key notes will be provided on a selection of the studied texts from the prescribed material for Drama and Fiction. *Time restrictions allow for only one of these to be covered. Teachers makes a judgement call based on what is likely to appear in examinations. 2. Chemistry section: atoms molecules; mixtures and compounds and bonding. 3. Physics section: electricity (static and current), electronics and heat. Time will also be spent looking at the exam paper layout, and students will be given advice on timing and technique during the exam. Booking is not yet available for this course. For further information on grinds and part-time courses please contact our main office on 01 661 3511.